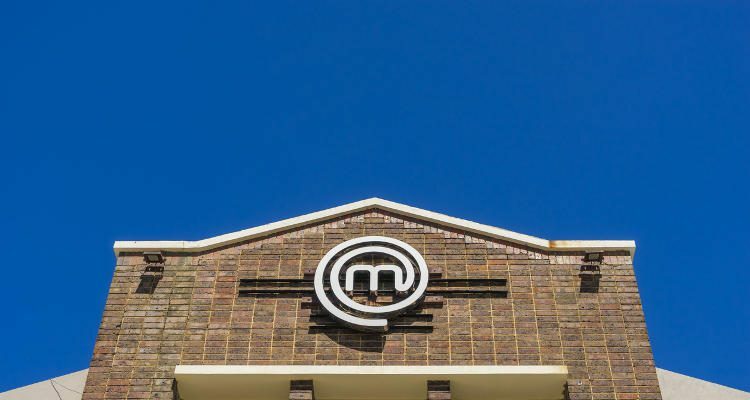 Fans of MasterChef Australia season 8 can now be the master chef of their own kitchen. Here are the top five MasterChef Australia recipes by the MasterChef contestants. Over high heat, heat a griddle pan. Put corn and grill until charred on all the sides. Remove from heat and slice the kernels from the cobs and set aside to cool. Once they cool, add all the remaining ingredients and season with salt. Mix and set aside. Peel the avocado and scoop out the pulp. Add the pulp, lime juice, and salt to a blender and blend until smooth. Transfer the puree to a bowl and cover the bowl with a cling film and set aside. Season tuna steaks with salt and sear for 15 minutes on each side on a non-stick pan. Remove from heat and let them cool for two minutes. Then slice into 1.5-cm thick slices. For serving, spoon pineapple salsa on one side of the plate and put avocado puree on the other side. Top with tuna slices. Blend together 200 ml water and icing sugar until the sugar dissolves. Put lime juice and chilies in a bowl and steep it for 10 to 15 minutes. Pour the sugar mixture into the lime juice bowl and add fish sauce, 600 ml water, and citric acid and stir to combine. Season with salt. Pour the mixture into ice block moulds. The chilies must get distributed evenly. Add two coriander leaves to each mould. Add a pop stick to the moulds and seal with lids. Put into the freezer until hard. In a two-litre saucepan, add 75 g of the sugar, water, and tapioca. Bring the mixture to a boil and simmer for eight to 10 minutes until the tapioca becomes translucent. To the tapioca mixture, add sugar, milk, glucose, and rosemary and bring it to a boil. Simmer for five minutes or until the sugar dissolves. Turn off the heat and cover the mixture with a cling film. To infuse, set it aside for 20 minutes. Then strain the mixture through a fine sieve and cool over an ice bath. For paco jet churning, divide the mixture between nine paco jet canisters and put them in the blast chiller until it freezes, about 90 minutes. Once frozen, run the canisters under warm water to loosen the contents. Condense the contents of the nine canisters down to three canisters. Put the three canisters back in the blast chiller for about 10 minutes. Once it freezes, remove the canister one at a time to churn. Follow the machine instructions and churn each full cylinder. Then place in the freezer. It is ready to serve. Line three baking trays with baking paper. Preheat the oven to 200°C. Cut the sweet potatoes in 3 cm cubes and toss with salt, pepper, and oil. Place them on the baking tray. Bake for 30 minutes or until tender. Transfer them to a large bowl. Place the bacon on baking trays and bake for 20 to 25 minutes until crisp. Drain it on a paper towel and transfer it to a food processor to get a coarse crumb. Add it to the bowl of sweet potatoes. Heat a griddle and put the corn in it. Season the corn with salt and turn it until it gets tender, about 12 to 15 minutes. Let them cool it and then slice the kernels from the cobs and add them to the sweet potato bowl. Add the remaining ingredients to a bowl to prepare the dressing and whisk. Add the dressing to the bowl, mix and serve. Line a brownie pan with baking paper. Pop the popcorn as per the package instructions and set aside to cool. Melt the chocolate by placing it over a saucepan of simmering water. After it melts, remove from heat and cool it slightly. Once the chocolate cools, put the glaze and popcorn to the chocolate bowl and coat the popcorn with the chocolate. Spread the chocolate mixture on the baking tray and put it in the fridge to set. Then cut it into slices and serve. Give these delectable MasterChef Australia recipes a try. You won’t be disappointed. Bon Appétit! Franciscovic, E., “Ep 54 – Seared Tuna with Pineapple Salsa,” Television New Zealand web site; http://tvnz.co.nz/masterchef-australia/ep-54-seared-tuna-pineapple-salsa-6494513, last accessed February 8, 2017. “Ep 42 – Nuoc Cham Ice Block,” Television New Zealand web site; http://tvnz.co.nz/masterchef-australia/ep-42-nuoc-cham-ice-block-6494396, last accessed February 8, 2017. “Ep 58 – Plum,” Television New Zealand web site; http://tvnz.co.nz/masterchef-australia/ep-58-plum-6494538, last accessed February 8, 2017. “Ep 19 – Sweet Potato Salad,” Television New Zealand web site; http://tvnz.co.nz/masterchef-australia/ep-19-sweet-potato-salad-6493149, last accessed February 8, 2017. “Ep 19 – Rocky Road Popcorn,” Television New Zealand web site; http://tvnz.co.nz/masterchef-australia/ep-19-rocky-road-popcorn-6493150, last accessed February 8, 2017.